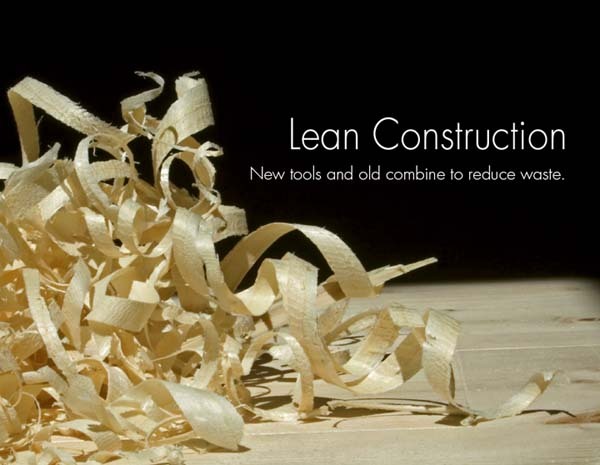 Posted on August 27, 2012, in Construction, Customer Focus and tagged Construction, Lean Principles, Thinking, Tools, Waste. Bookmark the permalink. 1 Comment. Our best efforts have come from spending lots of time orienting new employees and teaching our current employees the basics of lean and continuous improvement and then putting these ideas to practical use with problem solving, 5S improvements, learning how to spot waste, etc. Every employee is included and expected to participate. That’s my two cents worth, please feel free to contact me if you have any questions or comments.